The family. 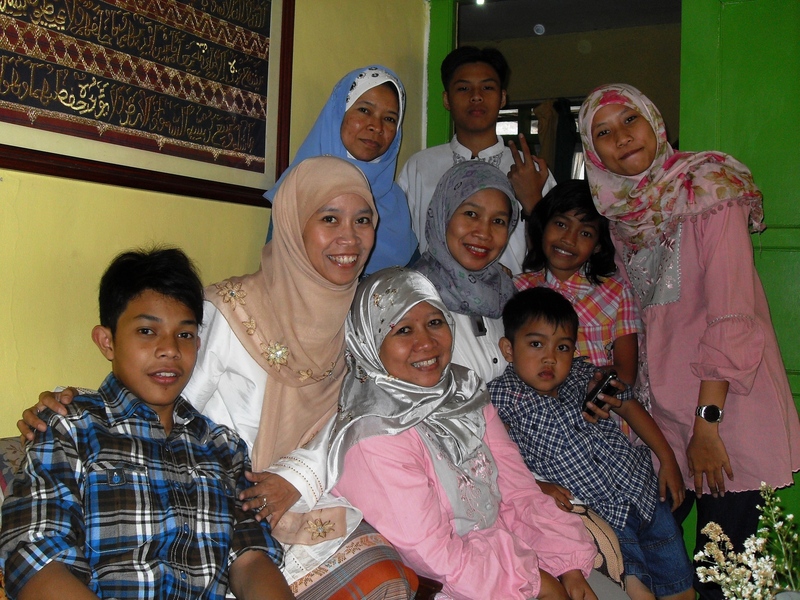 Left to right: Panji, me, bude Yayu (my eldest sister), bunda Trini, adik Rizki, mbak Layla, kakak Tasya. At the back row: tante Rani and Adam. My sister Trini and her family came that morning. We had short chat for a while, took some photos, and then have to they leave, heading to another destination. And so, that’s the moment of the Eid day this year. This is the second Eid after our mum passed away. Without her presence, Eid moment certainly felt different. We miss you, mum. This entry was posted in Diary and tagged bandung, Eid, event, family, postaweek2011, Ramadhan. Bookmark the permalink.